On Wednesday July 11, 2012, residents of San Juan County and members of Somos Un Pueblo Unido (Somos) announced the filing of several racial profiling complaints against local and federal law enforcement agencies. In the complaints made to the City of Farmington and San Juan County, six individuals alleged that the Farmington Police Department and the San Juan County Sheriff's Department changed the scope of investigation based on race, national origin, and language in order to inquire about immigration status-a violation of New Mexico's Prohibition of Bias Based Policing Act of 2009. "We have lived in this area for many years, contributing to the local economy and paying taxes. Like most families, we want a better future for our children," said Veronica Perez, a spokesperson for Families United for Justice a recently formed group of immigrants and allies in Farmington. "We used to live in peace, but in the last year, many of our families have been victims of racial profiling and discrimination as result of the collaboration between the local law enforcement, jail and immigration officials. We live in constant fear and no longer feel safe calling the police. How is that good for public safety?" Somos also submitted a complaint to the Department of Homeland Security's Office of Inspector General and its Office for Civil Rights claiming that local DWI checkpoints have become de facto immigration checkpoints. The complaint stated "It is our understanding that ICE should not be conducting immigration checkpoints beyond 100 miles from the border and local law enforcement shouldn't be questioning individuals about immigration status at a DWI checkpoint, the purpose of which is to prevent and apprehend drunk drivers." The complaint also alleged that area ICE agents were disregarding ICE's own policies by placing ICE Detainers an individuals in order to hold them at the San Juan County Detention Center despite these individuals not having been arrested for a criminal violation and at the County's expense. "We are working with these brave community members in Farmington to stand up for civil rights and public safety," said Rayos Burciaga, Board Member of Somos Un Pueblo Unido. "Based on eye witness accounts, it seems that ICE agents are colluding with local law enforcement officials and the local jail to racially profile individuals and violate their constitutional rights. New Mexico is better than that." "My parishioners deserve to live without fear and intimidation," said Father Vigil, pastor of St. Mary Parish in Farmington. "We live in a country where due process rights should be respected. We should be integrating Latino families, not separating children from their parents." "In the past year, I have witnessed the devastating effects of this country's broken immigration system and the violation of immigrants' civil rights in the Farmington community," said Iris Calderon, an immigration attorney from the Calderon Law Firm based in Albuquerque. "US citizen children are separated from their fathers only for failing to provide evidence of legal status at a DWI checkpoint. DREAMers have been put into deportation proceedings for speeding tickets and other minor traffic violations. When the civil rights of immigrants are violated, the consequences are dire." Residents also complained that the Farmington, Bloomfield, and Aztec Police Departments, as well as the San Juan County Sheriff's Department, do not have written policies and complaint forms that are updated and compliant with the bias-based policing ban, as is required by the 2009 law. "These agencies need to take the community's concerns about racial profiling more seriously," added Perez, "It's the only way that trust can be restored." Somos Un Pueblo Unido: is a statewide civil and immigrants' rights organization that worked along side the NAACP and other groups to pass the Prohibition of Bias-based Profiling Act in 2009 at the State Legislature. Somos is also part of a national campaign called "Restoring Trust" that will host events nationwide on Wednesday to call attention to the public safety hazards of collaboration between local jails and ICE. Hanna Skandera has had over a year to demonstrate that she is fit to serve as New Mexico’s Education Secretary. She has failed to do so. Her top failure—she made no attempts to work with New Mexico’s minority and bilingual education community. It is not even benign neglect. It is pure disdain for our multicultural values. Governor Susana Martinez, supposedly the national GOP’s bridge to Hispanic voters, seems to be perfectly fine with her choice of Hanna Skandera. Perfectly fine with allowing Ms. Skandera to run New Mexico public education by ignoring laws and the state constitution as they pertain to minority and bilingual education. Independent Source PAC Executed Director, Michael Corwin, stated, “that when it comes to minority and bilingual education Secretary Designate Skandera’s actions regarding minority education speak far louder than her platitudes.” From her “disregard for the Indian Education Act of 2003, her decimation of the Bilingual Education Bureau, her efforts to force English only on Spanish and Native American language speakers and her ignoring achievement gaps among racial and ethnic groups in her application for a No Child Left Behind Waiver, Skandera has shown she just does not get the importance of minority and bilingual education in our multicultural state”, Corwin said. Somos Un Pueblo Unido shared this letter with democracyforNM. Esteemed statesman US Senator Fred Harris wrote the following letter to all House Democrats regarding the Foreign National's Driver's License Law being debated once again in our 2012 State Legislature. Before I went to the U. S. Senate, I served in Oklahoma’s state legislature, so I know how tough your job is. I am writing to thank you for all you do on behalf of all New Mexicans and to offer my observations as to how a national Republican political agenda is being forced on New Mexicans. It’s my observation that the foreign national driver’s license issue has become the “gateway” for other negative efforts against immigrants. No question, the current law has some flaws and we need to find ways to address the fraud problem. We seem to be in the age of no compromise in Washington and, now, with this administration here in Santa Fe, too. New Mexico is not Arizona, and we don’t want to be. So, we should guard against any prejudice-driven or politically motivated efforts (like the Governor’s residency reverification program that cost taxpayers $177,000) that seek only to divide our communities. I was concerned by an article in the Albuquerque Journal, toward the end of the special session, that reported an out-of-state group with a radical history and a discriminatory nature, Americans for Legal Immigration PAC (ALIPAC), has committed resources to assist the Governor in her effort to repeal the foreign national’s driver’s license law. Just last week, Governor Martinez again refused to agree to any compromise or alternative legislation. The Governor’s approach stalls progress on addressing the foundational issue- dealing with potential fraud. Any of us who have been involved in the legislative process know without meaningful compromise and thoughtful discussion, good public policy cannot be implemented. The issue in 2012 should be: “Who focused on the real problems of fraud and keeping insured motorists on the road, while allowing for law enforcement at all levels to access a database of foreign nationals?” Wedge issues have been used against us before, and now is not the time to allow the driver’s license issue to undermine the important advances New Mexico has made for individual safety. A recent Lake Research Partners poll shows that 64% of New Mexicans support a compromise proposal that would subject foreign nationals to additional residency requirements and finger printing, while still allowing them to receive a driver’s license. That’s the way we should go—and stop this constant attack on immigrants, because it’s just wrong. Thanks for letting me express my support for all you do. A packed room of Medicaid recipients and advocates, fighting Governor Martinez's proposed tax on Medicaid recipients showed up last Wednesday night to speak out over her plans. The video above was provided by OLE NM. Thanks OLE for sharing this well attended event. The young man shown in the video still above is my favorite part of the whole video. On Wednesday, November 9, concerned retirees and seniors in Albuquerque joined forces with other vulnerable communities at a Medicaid Community Meeting at 6 pm at the UNM Continuing Education Building to tell Gov. Martinez not to cut Medicaid benefits, nor raise co-payments or premiums, as she plans it’s re-design in the face of threats from Washington's Supercommittee to consider cuts to Medicaid, Medicare & Social Security this Fall. Federal and statewide pressure to balance existing budget shortfalls have led some to conclude that our state’s seniors can afford to live with less access to medical care and economic security in order to preserve corporate loopholes and tax breaks that have created the growing income inequalities that are now threatening the fabric of our society. In August, President Obama signed a Budget Control Act that established the Super Committee, a bipartisan Congressional committee charged with identifying $1.5 trillion in deficit reduction that could include Medicaid, Medicare, and Social Security cuts. The Super Committee, made up of 6 Democrats & 6 Republicans, will report to Congress by late November. If a majority of the committee members reach agreement on a $1.5 trillion deficit-reduction plan, it will get an up-or-down majority vote by late December. There can be no Senate filibusters. Some members of the Super Committee have narrowly targeted cuts to Medicaid, Medicare & Social Security, with scarce attention to the consequences this would have on seniors of today and tomorrow. Cuts to Medicaid could reduce access to care for 35,000 New Mexican seniors in nursing homes and 60,000 New Mexicans who live with a disability. Cuts to Medicare could jeopardize preventive & specialty medical care that serves nearly 300,000 New Mexican elders. Without their monthly Social Security check, over 100,000 New Mexican seniors would fall below the poverty line. You're invited to "News For All the People," a book talk with Juan González and Joseph Torres on Tuesday, October 25, from 12:00 PM to 2:00 PM at the University of New Mexico Student Union Building Fiesta Rooms A & B, in Albuquerque. Democracy Now! co-host and award-winning journalist Juan González’s new book, "News for All the People: The Epic Story of Race and the American Media," co-authored with Joseph Torres of the media reform group Free Press, is being launched with a national book tour. "News For All the People" is a landmark narrative history of American media that puts race at the center of the story. The event is free and open to the public, with a book-signing to follow. Copies of the new book will be available for purchase. Sponsored by the Media Literacy Project, the University of New Mexico Office for Equity and Inclusion, KUNM FM, Democracy Now! and Free Press. Please help us spread the word about their book and event by posting this announcement on Facebook, Twitter and emailing people in your networks. If you would like to volunteer with Democracy Now! at the event, please email Diana Sands: diana(at)democracynow.org. Thank you! INTERVIEW: Hear Juan González and Joseph Torres discuss the book on Democracy Now! ABOUT THE BOOK: "News For All the People" is a sweeping account of the class and racial conflicts in American news media, from the first colonial newspaper to the internet age. It chronicles key government decisions that created our nation’s system of news, major political battles over the role of the press, and the rise of media conglomerates and epoch-defining technologies. The book reveals how racial segregation in the media distorted the news and unearths numerous examples of how publishers and broadcasters actually fomented racial violence through their coverage. And it illuminates how Black, Latino, Asian, and Native American journalists fought to create a vibrant yet little-known alternative and democratic press and then, beginning in the 1970s, forced open the doors of the major media companies. The writing is fast-paced, story-driven and replete with portraits of individual journalists and media executives, both famous and obscure, the heroes and the villains. It weaves back and forth between the corporate battles and government policies that built our segregated media system — as when Commerce Secretary Herbert Hoover gave a radio license to a notorious KKK organization in the nation’s capital — and those who rebelled against that system, such as Pittsburgh Courier publisher Robert L. Vann, who led a national campaign to get the black-face comedy Amos ’n’ Andy off the air. "News For All the People" will become the new standard history of American media. Published by Verso Books. SANTA FE: The book talk is also scheduled for 7:30 to 9:30 PM on Tuesday, October 25, at the Armory for the Arts in Santa Fe, as a benefit for KSFR, Santa Fe Public Radio. Tickets are $15. For advance purchase, call KSFR at (505) 428-1527. This guest blog is by State Senator Mary Jane Garcia (D-Dona Ana-36), Senate Majority Whip of the NM Senate, and former member of the 2011 Interim Redistricting Committee. Many constituents that I represent have raised their concern that nothing was done during the recent redistricting session, and I believe they deserve a response. This year's redistricting legislative session was expensive, contentious and has caused much disappointment to many New Mexicans—there is no denying that. I and my Senate colleagues understand the frustration that the public has with the outcome of the session, especially when our constituents wonder why it took nineteen days to develop redistricting legislation that was ultimately vetoed by Governor Martinez. The true story of the redistricting session is anything but nineteen wasted days of “golfing” and time spent not doing anything. The story of the redistricting session was one of preserving the sacred rights of equal representation and voting rights granted to us through the New Mexico Constitution and United States Constitution. It was a continuation of the fight that African Americans faced when they willfully met the gnashing of canine teeth, blasting of water cannons, burning of tear gas and pounding of police batons in Selma, Alabama—all to guarantee the right to vote. It was the fight of the Native American, which for nearly 172 years, from the inception of our country, did not have the right to vote. It was the persistence of Hispanics fighting to not have their political voice diluted by clever gerrymandering of district lines. This story was the great modern day reminder of the sacrifice leading to the approval of women’s suffrage. Subsequently, Senator Linda Lopez and Representative Mary Helen Garcia were chosen to serve as co-chairs of the Redistricting Interim Committee which was made up of 40 members of the legislature. In order to gain community input, the co-chairs convened five meetings throughout the state from June to August of this year. The interim committee’s work developed into eight concepts for the House, nine concepts for the Senate, seven concepts for Congress, five concepts for the PRC and one concept for the Public Education Commission. We were able to take the interim concepts into the session and that’s when much more technical and time consuming work began. In the context of an individual Senate redistricting concept, we were tasked with assigning 2,059,179 people in New Mexico to 1,483 precincts that make up 42 Senate Districts. Enormous challenges were found at the precinct level. As I worked on my Senate district, I found that simply adding one precinct could require a neighboring senator to pull one or more precincts from their neighbor and a similar occurrence happening thereafter. One precinct change in southern NM would often result in a “domino effect,” eventually requiring changes to districts in Northern NM. Imagine all the different combinations possible when 42 Senators were simultaneously making changes to 1,483 individual precincts! Now, this is all in reference to only one Senate concept. The previous complexities do not even point out the central rules that were to be followed such as: the Voting Rights Act of 1965, preservation of minority voting rights, one-man-one-vote, and sustaining communities of interest. Measuring the success of the redistricting session requires looking beyond clever slogans and glitzy sound bites. An accurate view shows that the work done during the special session was significant, heartfelt and meaningful. Redistricting allowed many of us to stand on the shoulders of those who came before us to persist in the great struggle assuring equal voting rights for all people in New Mexico. This is a guest blog by State Senator Mary Jane Garcia (D-Dona Ana-36). To submit a piece for consideration as a guest blog, contact me by clicking on the Email Me link at the upper left-hand corner of the page. This is a post by contributing writer, Stephen Jones, of Las Cruces, New Mexico. It's a tricky business, this politically charged issue of capital punishment. On the one hand are the victims of crime, who understandably seek emotional closure over the shattering of their lives, and the loss of their loved ones, usually under terrible circumstances. On the other side, as the execution last night of Troy Anthony Davis despite nagging questions as to his guilt reminds us, is the troubling reality that our legal system is never foolproof, disproportionally penalizes the poor and historically has targeted minority communities. Without minimizing the suffering of the victims, the historical parallels -- as in the case of Davis -- to a dark American past, ought be cause for all of us to consider the issues of his case, the application of the law and deeper questions of justice and injustice. Just over sixty years ago, on May 8, 1951, Willie McGee, an African American laborer, was executed by the State of Mississippi despite a lack of evidence that he had committed any crime. Thanks to the efforts of one southern writer, William Faulkner, and others who soon joined his cause, McGee's case was one of the few capital punishment cases in the Jim Crow era that ever rose to international attention. The false charge against Willie McGee became one of the models for the fictionalized case against the character Tom Robinson in Harper Lee's novel, To Kill a Mockingbird. McGee's case was revisited by the award-winning New Mexico writer Alex Heard last year in his book, The Eyes of Willie McGee. The history of abuse of the law is as troubling today as it was then. McGee's trial lasted less than three hours. The all-white jury deliberated only two-and-a-half minutes before sentencing McGee to death. In the appeals that followed, a crusading young lawyer from New York, and a future Congresswoman, Bella Abzug, fought for clemency for her client, Willie McGee. In the last days of McGee's life, the Mississippi Supreme Court refused to hear Abzug's appeal, and the Governor refused to meet with her; the hotels in Jackson, Mississippi refused to house her. In the final days just before McGee's execution, Bella Abzug was forced to spend the night crouched down and hiding in a locked bathroom stall of the Jackson, Mississippi Greyhound bus station while a band of racist thugs searched for her. Bella Abzug's legal crusade never stood a chance. In Willie McGee's Mississippi there were two systems of justice. Decades after the McGee case, studies have repeatedly shown that race, place and economic status are key factors on who lives and who dies in capital punishment cases. A 2003 University of Maryland study shows that race and geography continue to plague the justice system in death penalty cases. A similar study in North Carolina found similar statistics. Another report, commissioned by the New Jersey Supreme Court, also turned up a similar pattern of capital convictions and helped convince that state's legislature to abolish the death penalty in the Garden State in 2007. Last night's execution of Troy Davis by the State of Georgia makes painfully clear, once again, that six decades on we still have two systems of justice in the United States. Davis was convicted of the murder of a white police officer in Savannah in 1991. The officer, Mark MacPhail, was gunned down while rushing to the rescue of a homeless man being pistol-whipped in the parking lot of Savannah's Greyhound bus station. The day after the murder, several witnesses told police that Troy Davis was the shooter. Subsequently, seven of nine eyewitnesses, including the homeless man who was under attack at the bus station that night in 1991, recanted their statements, citing pressure from police in the case. Others implicated Sylvester "Redd" Coles, one of the original so-called "witnesses" to the crime. No physical evidence was ever presented that linked Davis to the crime, and the weopon was never recovered. Yet despite so many doubts in the Davis case, the courts refused to stop the execution that was carried out last night. With so many questions about what really happened in 1991, Davis's life should have been spared. "I hear Rosalee, see the eyes of Willie McGee," wrote the haunted African-American playwright, Lorraine Hansberry, in her poem Lynchsong, shortly after the execution that was carried out in Mississippi in 1951. The lines of her poem were a reference to the pleas of Rosalee McGee for the life of her husband. Like the southern writers, William Faulkner, and later Harper Lee, images of injustice were just outside the doorstep and never very far away from the thoughts of Lorraine Hansberry, as well, though she lived far from the Jim Crow south. Her family fought housing segregation in the courts in Chicago, and her circle of friends, including Richard Wright, Langston Hughes and Claude McCay, used their own pens over the whole span of their lifetimes to fight against a double-standard of justice far north of the Mason-Dixon line, where they lived and worked. New York's "Battling" Bella Abzug never stopped fighting for the equal treatment for all, in the courtroom or in Congress. The rest of us need to pick up the torch and carry on their cause. No more injustice! It is too late for us to save the life of Troy Davis, but it is never too late to carry on the work to end inequality, and demand equal application of justice for all. We need to abolish the death penalty, nationally, once and for all time, and end that state-sanctioned system of vengeance that disproportionately sentences the poor and the powerless -- while doing nothing to deter crime -- and we need to do it now. For proponents of fairness, last night's action by the State of Georgia against Troy Anthony Davis ought to prove one thing: silence is never an option. To see more posts by Stephen, visit our archive. A few hours after President John F. Kennedy called on Congress to pass comprehensive Civil Rights legislation in 1963, Medgar Evers, the field secretary of the Mississippi chapter of the NAACP, was gunned down outside his home in Jackson, that state's capital city, the victim of a racist assassin. Evers died with his pockets filled with voter registration applications, soaked with the fallen civil rights leader's blood. A combat veteran who fought in France and Germany during World War II, Medgar Evers was buried a few days after he was murdered, on June 19, 1963, forty-eight years ago this coming Sunday, with full military honors at Arlington National Cemetery outside Washington, D.C. In 1963 Medgar Evers paid the ultimate price for demanding the fundamental right guaranteed every citizen, everywhere; the right to register and vote. Today, less than half a century later, that basic democratic right of all citizens, eighteen years of age and older, under law, is under attack once again, here in New Mexico and across the United States. From the proposed legislation that would require voters to produce photo identification at the polls that is cropping up in many states across the country, including our own, to the proposal by Wisconsin's extremist governor, Scott Walker, to strip college students of their right to the ballot box, attempts to disenfranchise average Americans has reached a level that hasn't been seen since Medgar Evers' time. Newt Gingrich, a Republican aspirant for the White House and a former Speaker of the House of Representatives, has shamefully called for the return of poll tests, a practice made illegal by the 1965 Voting Rights Act. Due to historical patterns of illegal voter suppression in the Jim Crow era, including phony "literacy" and other so-called ballot access tests, the 1965 landmark legislation outlawed such practices, nationally. 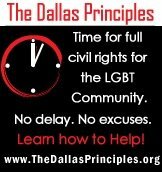 Two of our neighboring states, Texas and Arizona, remain under special provisions of the Voting Rights Act that require those states to "pre-clear" any state legislative attempt to change "any voting qualification or prerequisite to voting, or standard, practice, or procedure with respect to voting" by the Federal Justice Department and a three-judge panel of the District Court of the District of Columbia. Only a few years ago, under the cynical and corrupt leadership of Karl Rove and others, the GOP sought to politicize U.S. Attorney's offices in a number of states, including in New Mexico, alleging that those federal attorneys were failing to bring prosecutions over a pattern of "voter fraud" that didn't exist. The Rove assault was a brazen attempt to specifically suppress the votes of Hispanic and African American citizens. Despite Rove's departure, the GOP continues to engage in an ongoing pattern of voter suppression and intimidation, resulting in numerous prosecutions of local Republican leaders around the nation for their attacks on citizenship rights. Notoriously in Florida, African American voters were denied their right to vote when GOP officials wrongly, and illegally, challenged voters off the registration rolls as "former felons." The criminal challenges were made not on evidence -- no such evidence existed -- but rather by broadly cherry-picking voters off the rolls through the use of computer modeling, targeting specific classes of voters by neighborhood demographics, by age and by ethnic surname. Attempting to pass a voter suppression bill in the New Mexico Legislature earlier this year, New Mexico Secretary of State Dianna Duran and Governor Susana Martinez claimed evidence of thirty-seven illegal voter registrations. Evidence to back up the claim vanished when the bill died in the legislature. Undeterred, Duran has subsequently flagged 64,000 New Mexicans, more than five percent of our registered voters and over ten percent of the citizens who cast votes in last year's general election, to be "investigated" by state police. The right of citizens to register and vote is sacrosanct. Voter suppression and intimidation is un-American. Efforts to return to a time when many of us were stripped of our central right to engage in democratic decision-making must be turned back, and we all need to be alert to the present danger. We need to act to protect that fundamental right which belongs to all of us. Forty-eight years after Medgar Evers was laid to rest for standing up for that basic right of citizenship, the right to vote, we need to remember the sacrifices of those who worked and sacrificed to guarantee access to the ballot and the voting booth, and carry on their fight. Today the American Civil Liberties Union (ACLU) of New Mexico filed a racial discrimination complaint with the federal Office for Civil Rights, Department of Justice, on behalf of Adam Jarrell, a decorated Specialist in the New Mexico Army National Guard. Jarrell, a member of the 920th Engineering Unit, is the only African-American in his unit of approximately 216 soldiers. Jarrell alleges that while he was deployed in a combat zone in Afghanistan in 2009, other soldiers in his unit subjected him to racist comments and threats, culminating with an incident in which he found a noose hanging outside his barracks door. When he brought this misconduct to his commanding officers, they ignored the issue and in some cases explicitly condoned the offending soldiers’ behavior. SPC Jarrell alleges that the racially-motivated harassment began after he reported a non-commissioned officer for physically abusing two fellow subordinate soldiers. Breaking military rules, SPC Jarrell’s Captain disclosed to the offending non-commissioned officer that the misconduct report originated from Jarrell. From this point forward, Jarrell’s non-commissioned officers subjected him to threats of physical violence, increasingly harsh retaliations and racially-motivated harassment. His complaints reached even the NMANG commanding officer, Major General Kenny Montoya, but still nothing was done, according to the allegations. Having exhausted all possible avenues, SPC Jarrell contacted the ACLU of New Mexico for assistance. The complaint demands that the Office for Civil Rights hold responsible those who subjected SPC Jarrell to offensive racist language, threats of physical assault, countless acts of retaliation and the horrific image of a noose hanging outside his sleeping quarters. A full copy of SPC Adam Jarrell’s OCR complaint is available online here. SPC Adam Jarrell is represented by ACLU-NM Staff Attorney Leon F. Howard and ACLU-NM Managing Attorney Laura Schauer Ives. This is a post by contributing writer, Stephen Jones, of Las Cruces. On Friday, Republican presidential candidate Ron Paul told Chris Mathews in an MSNBC interview that he would not have voted in favor of the Civil Rights Act of 1964, if he were a member of Congress at the time of its passage. Paul told Matthews that while he thought Jim Crow laws were illegal, he would have opposed the Civil Rights Act "because of property rights." Paul's anti-civil rights foray on Friday is sadly not his first. On June 4, 2004, on the 40th Anniversary of passage of the landmark Civil Rights Act, Paul issued an angry denunciation on the floor of the House. "The Civil Rights Act of 1964 gave the federal government unprecedented power over the hiring, employee relations, and customer service practices of every business in the country. The result was a massive violation of the rights of private property and contract, which are the bedrocks of free society," Paul said. Paul's was the only dissenting vote against the House resolution commemorating passage of the Civil Rights Act. It would be comforting to disregard Ron Paul's frequent forays into denouncing civil rights legislation as just so much fuzzy-thinking of a libertarian ideologue, but nothing could be farther from the truth. Lurking not too far below the surface is Ron Paul's heritage of bigoted speech. Ron Paul's history of racism dates back decades, and bigoted language has been a frequent topic of his Congressional newsletter. "Opinion polls consistently show that only about 5 percent of blacks have sensible political opinions, i.e. support the free market, individual liberty and the end of welfare and affirmative action," he wrote in one newsletter. "We are constantly told that it is evil to be afraid of black men, it is hardly irrational. Black men commit murders, rapes, robberies, muggings and burglaries all out of proportion to their numbers." Ron Paul issued this opinion in another, "Boy, it sure burns me to have a national holiday for that pro-communist philanderer, Martin Luther King. I voted against this outrage time and time again as a Congressmen [sic]. What an infamy that Ronald Reagan approved it! We can thank him for our annual Hate Whitey Day." Ron Paul's racist diatribes date back decades. In 1996 the Houston Chronicle of hate-speech in Paul's writing. In one newsletter article, the Chronicle noted, Ron Paul claimed that 85 percent of all black men in the District of Columbia were criminals. Paul wrote, "Given the inefficiencies of what D.C. laughingly calls the 'criminal justice system,' I think we can safely assume that 95 percent of the black males in that city are semi-criminal or entirely criminal," Paul said. When Ron Paul's racist newsletters came to light nationally four years ago, the Texas Congressman claimed the articles were "ghostwritten" by some unnamed author and did not reflect his "true opinions." The identity of any "ghostwriter" was never revealed. On Friday, Ron Paul's pattern of racism emerged once again in the false guise of some sort of "deeply-held" libertarian ideology. As an announced candidate for the Republican nomination, it's time to question Ron Paul's motives, and belief-system, once again. Immigrants’ List (IL), a bipartisan political action committee, has unveiled the 2011 inductees into its national “Immigration Hall of Shame.” These ten members of Congress -– Republicans and Democrats –- present the biggest obstacles to America fixing its dangerous, broken immigration system. They’re the leading marshals of the anti-immigration reform agenda -– spreading misinformation, preying on fear, and blocking the reform America wants and needs." Atop the list is Congressman Steve King (R-IA), who has said you can tell undocumented immigrants from “the type of grooming they might have,” labeled the DREAM Act “amnesty,” and argued an electrified border fence makes sense because “we do that with livestock all the time.” The list can be viewed online. “We need reform that unites families, promotes fair employment practices, and restores America’s place as a nation that welcomes those seeking freedom from persecution and a better way of life,” continued Novick. “Politicians like Steve King –- who compare people seeking a better life to ‘livestock’ –- appeal to people’s worst instincts. And in doing so, they prevent the reform Americans want. Among the other members of the “Hall of Shame” are House Judiciary Chairman Lamar Smith (R-TX), who has labeled the Constitutional right to birthright citizenship as a “misinterpretation;” Brian Bilbray (R-CA), who has said “human smuggling, prostitution, murder and virtual enslavement of human beings” across the border is happening because immigrants are “drawn to this nation by ... taxpayer-funded jobs;” Rep. Heath Shuler (D-NC), who co-authored a plan seeking to deport more than 12 million people, and; Rep. Ben Quayle, who advocates reducing the number of legal immigrants allowed to live in the U.S., and has called for erecting a Pacific-to-the-Gulf electrified border wall. “Immigration is a fundamental part of America’s heritage, and is essential to the growth and prosperity of our nation. That’s a fact; it’s central to our American character. And it’s something these ten have forgotten,” said Novick. Immigrants’ List (IL) is a bipartisan political action committee dedicated to meaningful immigration reform that unites families, promotes fair employment practices and restores America’s welcoming status for those who seek freedom from persecution and a better way of life. IL supports pro-immigration candidates and works to defeat those who use fear and deception to spread an anti-immigrant agenda. To learn more about Immigrants’ List, or get active in the grassroots movement to reform our immigration laws by electing pro-immigration candidates, visit www.immigrantslist.org, or email info@immigantslist.org. This past Saturday, the 18th Annual César Chávez Day March and Festival was held at the National Hispanic Cultural Center in Albuquerque. There was a large turnout of people from all walks of life and a diversity of ethnic backgrounds who are all bound by at least one thing -- a dedication to honoring the heroic labor and civil rights organizer and leader, and keeping his nonviolent activist mission alive in a new era of attacks on working people, minorities and collective bargaining itself. César Chávez, who passed away on April 23, 1993 at age 66, founded the National Farm Workers Association in 1962, later to become the United Farm Workers - the UFW. Chávez worked in tandem with fellow activist Dolores Huerta, a co-founder of the union, who was this year's honored guest at the Albuquerque events. Dolores -- now an energetic, passionate and active 81 years young -- has carried forward the work she started with Cesar, and expanded her activism to include advocacy on a variety of civil rights, economic and social justice issues over the years. She now heads the Dolores Huerta Foundation, which is dedicated to inspiring and motivating people to organize sustainable communities to attain social justice. The march and festival were organized by the Recuerda a César Chávez Committee, whose mission is to educate our youth and communities about the legacy, life and work of the great American civil rights leader, César Chávez. You can follow the group's activities on Facebook. In her remarks (see video below), Dolores Huerta thanked all involved in organizing the events, as well as the New Mexico Legislature -- especially the Senate -- for defeating anti-immigrant legislation and stopping New Mexico from becoming another Arizona. She said, "New Mexico has always been a very, very different place. New Mexico has always had a very different kind of politica. The politics here have always been different. New Mexico has always been ... a place of humanity, of caring, a very spiritual place where people really care about each other, regardless of your immigration status," she said. "New Mexico is a state that unifies Mexico and the United States. Here is where it combines," she continued. "We are all proud to be New Mexicans ... I was born here, my parents were born here, my grandparents were born in New Mexico. So we are very proud of this state ... I hope that you keep marching and organizing. We have to go from the march in the street to the march in our neighborhoods. We've got to go out and organize our neighborhoods so we can be even stronger than what we are right now so when we come to the elections in 2012 it's going to be a different picture." "We cannot have politicians that are elected that are against teachers, Dolores said. "How can anybody even run for office and be against our teachers? That is absurd -- it's obscene. When they are against our teachers, they are against our students, and we know that if we do not have an education ... the greedy and the powerful are the ones that rule." "We're going to fight for our labor unions also," she said, "because we know if we do not have organized labor, then we don't have a democracy. The unions are the only ones that can get the money from the very wealthy to the working people ... Si, se puede, we can do it!" "It's not enough to vote anymore," Huerta cautioned. "Every one of us that is here ... we can change an election. We can get on the telephone. We can walk. We can knock on doors ... This is the way we keep César's legacy alive ... todos juntos! ... Join our movement. We are a movement and we're gonna continue this fight for justice, for equality for everybody." She encouraged people to visit her foundation's website and Facebook page, and stay involved. Click to see all the videos from Saturday's events. All videos and photos by M.E. Broderick.